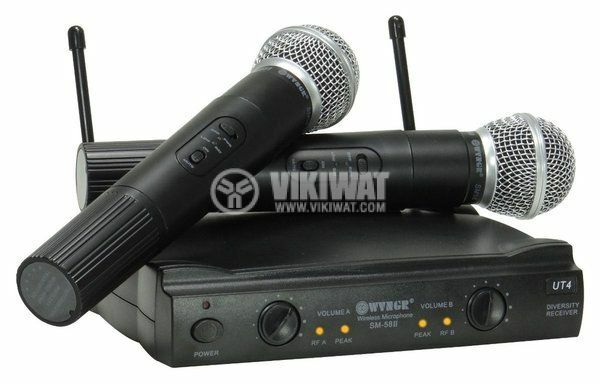 Professional SM-58 II wireless microphone, one receiver and two vocal microphones. power supply - 9 VDC. dimensions - (W x D x H) 200mm x 154mm x 130mm. Set of 2 professional wireless vocal microphones and base. Microphones operate with 9 VDC batteries included.